Week eight has definitely been a long expected week for the ladies. For the whole duration of the course so far they have asked when they will be baking cakes, and guess what? Yesterday was the day! We were instructed by the lovely Mariana on how to make three different types of pastries. The first were little Victoria cupcakes (which you can see pictures of on our instagram account @justbreadlondon), extremely naughty triple chocolate chip cookies and finally the delightful French financiers. 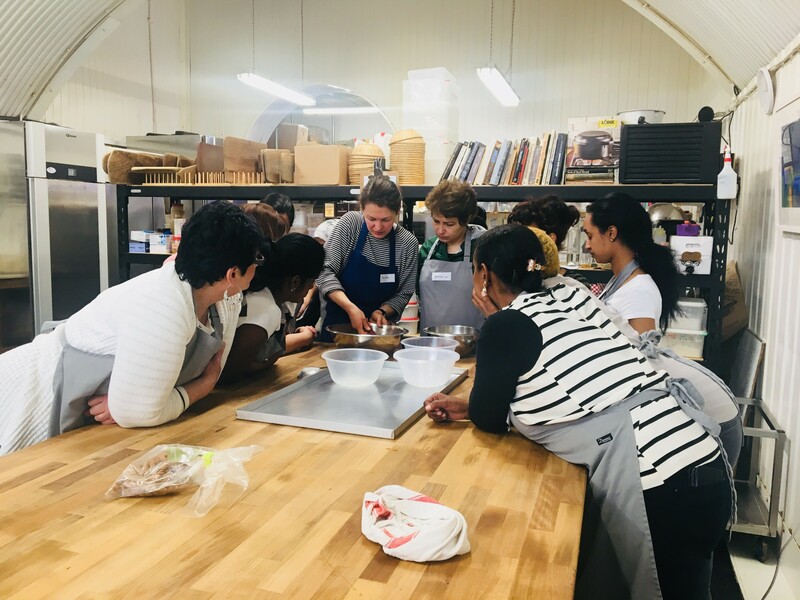 It was an excellent combination of recipes as it demonstrated highlights of western baking which interested the ladies greatly as they could see similarities and differences with the pastries of their own native cuisines. 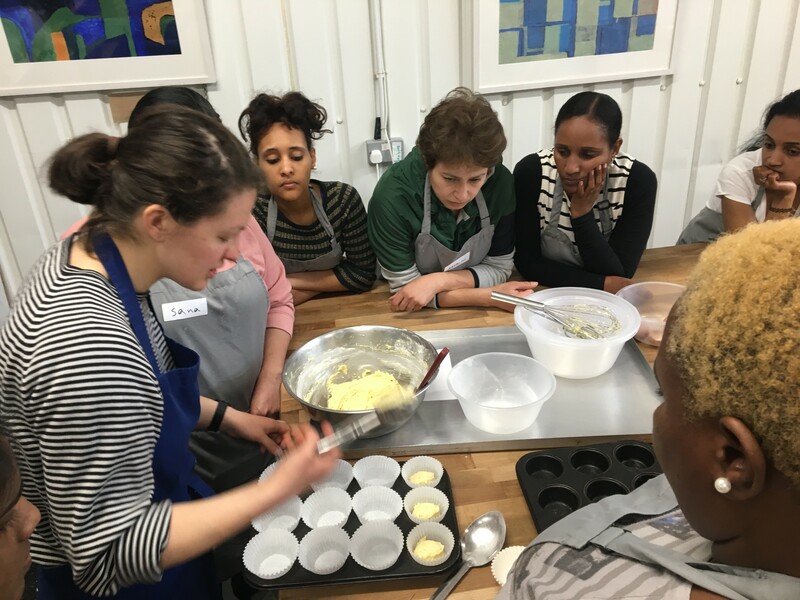 Mariana taught us all the individual processes and roles of the components of each pastry, explaining the purpose of all the different ingredients which was very interesting and generated a lot of questions and discussion. 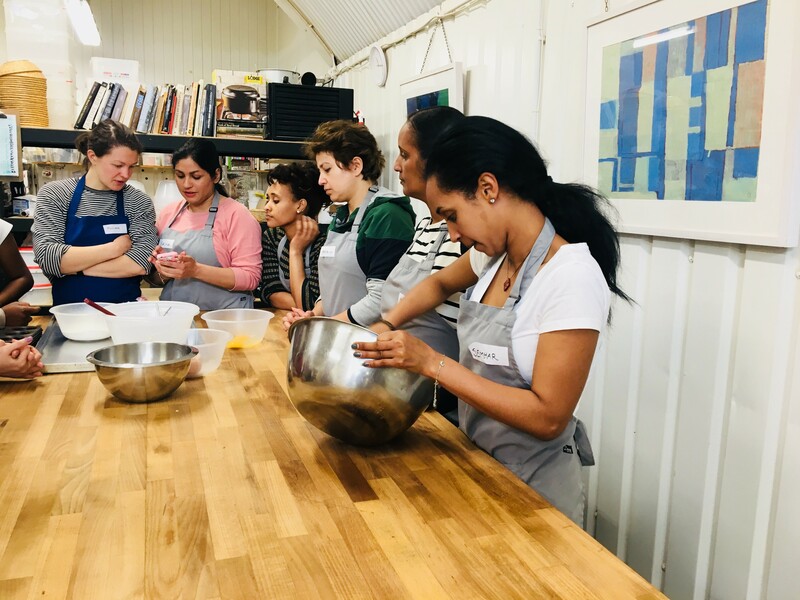 Two of the biggest fascinations were the burnt butter part of the financier which smelled absolutely divine and the active roles of baking powder and bicarbonate of soda which lead the discussion down a rather scientific path! At the end of the session, the women all got to take home one of each pastries which were all incredible scrumptious. One of the highlights of the day was the amount of good news a lot of the woman had. One of the asylum seekers had a successful outcome of her court case and has been allowed to stay which is really heartwarming news. Two others have found part-time jobs at the bakehouse too which is great and an amazing start to their employment here in the UK. It was great to hear and share in this news as it’s all integral to the purpose of the Just Bread course so we are all absolutely delighted. 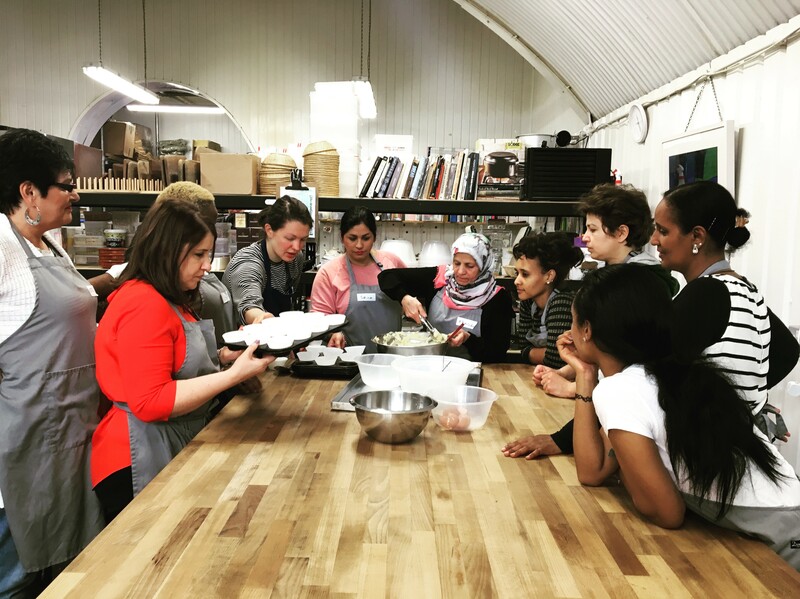 Stay tuned to read about the pizza making session next week at the roasthouse over in Poplar and week ten’s celebration of food!